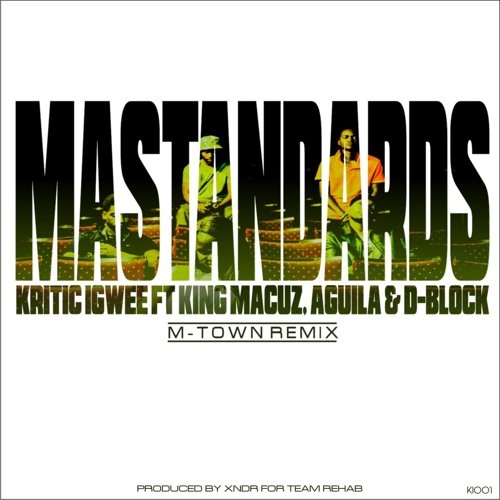 First it was the Cashbid vs Mile remix, now we have the second remix to P. Mula's MaStandards, this time we head out of the capital to Manicaland, with Kritic Igwee and company. Mutare shows us that even they can do it too. A name that had me confused though was D-Block, because the one I know is a Zim Hip-Hop femcee but no female voice can be heard on this track. Kritic Igwee is doing his second remix of a 3teamREHAB track, the first being Streets of M-Town,(which was a remix of the Blazer Boyz/CutFface track). For a track with four people on it (excluding the P. Mula hook) this ends rather abruptly before the 3 minute mark. I wonder who else will release their version of this track, which is increasingly becoming popular. Bulawayo Remix anyone?